In July 2009 we introduced you to artist Kathy Panton. Well now you can have Panton’s fine work on your bookshelf as well as your wall. 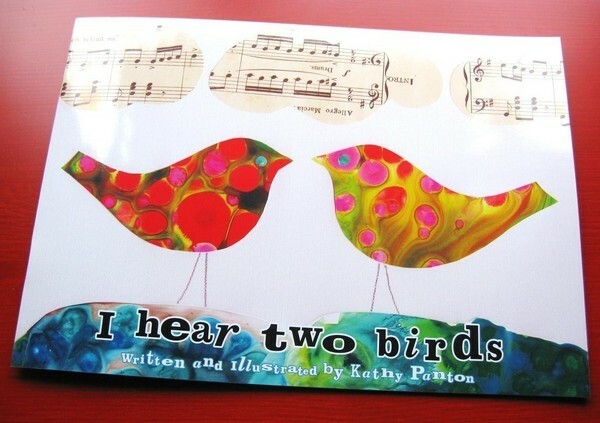 Panton has recently released I Hear Two Birds, a counting book that features her glorious illustrations. 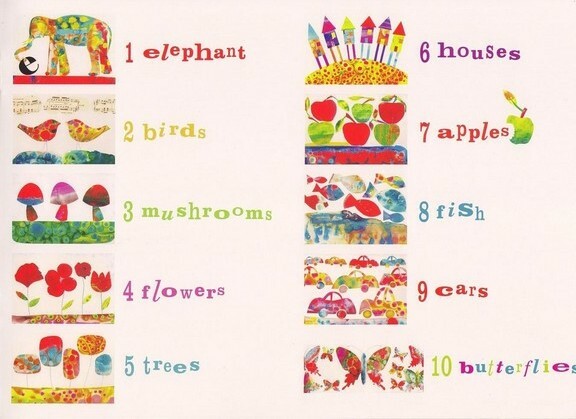 The text is sweet and simple, for example: “…I climb five trees, up up up, I visit six houses, knock knock knock, I eat seven apples, crunch crunch crunch…”, which lets you focus on the superb illustrations. The colours jump off the page and the swirling, blending patterns provide a good contrast to the crisp edges of her subjects. Panton’s illustrations are created using a collage technique; she paints on large sheets of paper and then cuts up bits she likes. If your child (or you) has a favourite page in the book, you can even buy a print for the wall. I Hear Two Birds is $22 and is available from Panton’s Etsy store or at selected bookstores in Brisbane, Panton’s hometown.